I’ve been to DIRTYBIRD Campout since it began and it’s definitely my most favorite time of the year! Imagine a summer camp for adults… a vacation from the daily grind, where you can transport yourself back to the most carefree days of your childhood. It’s literally 3 days of house & techno beats, loads of fun activities, games and endless camp shenanigans that you don’t want to miss! The festival will hit Modesto Reservoir Campgrounds on Oct. 5 to 7 and campers will be treated to a superstar showcase… from Mark Ronson to Slick Rick the Ruler and Big Daddy Kane. 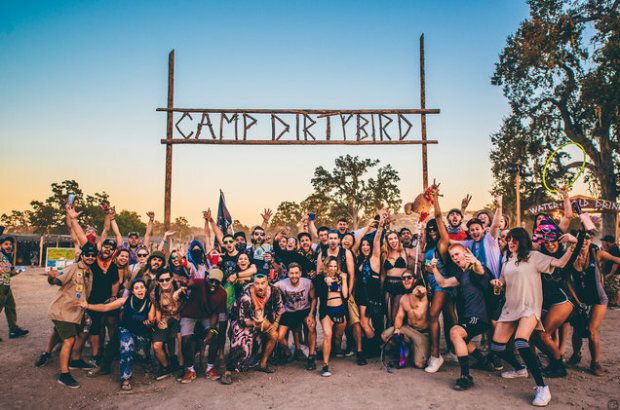 There will also be performances from DIRTYBIRD Camp Counselors Claude VonStroke, Justin Martin, J.Phlip, Christian Martin, Worthy and Ardalan… along with Chris Lake, FISHER, Jubilee, Jesse Perez, EPROM, Justin Jay, and so much more! But music isn’t the only thing to get excited about! There are tons of games & sports, swimming, arts & crafts, lifelong friends, good vibes all around, and not a worry in the world.